Your Town Council and its Members are here to help and represent you. Councillors are elected by the residents every four years. We are the first tier of local government and are funded by a precept, which is paid by the residents of Rugeley via the Council Tax. Find out what we do by reading the agendas and minutes and see how you can have your say in local matters. If we aren't the correct authority to deal with your query, we will happily point you in the right direction and represent you if appropriate. CLICK HERE for a link to a useful document that gives guidance and ideas for working with local councils. or off Church Street, behind the Aelfgar Surgery. Normal office hours are Monday - Friday 10am - 3pm. Please note that ALL MEETINGS are recorded. The recordings are deleted once the minutes of the meeting have been approved. If you want to say something at the full council or committee meetings, there is a Public Session at the beginning of the agenda. Time is limited in order to ensure that all matters can be dealt with and everyone has time to speak. The fact that the public session is limited though, does not stop you from contacting the Town Council outside the meeting and talking through your issues. It may be that the staff can offer guidance and help. A few days after the meetings, DRAFT minutes are available on the website. These minutes remain DRAFT until the following meeting. So if you feel that your point has not been accurately recorded, please contact the Town Clerk no later than a week before the next meeting. You are welcome to ask the Town Clerk to put an item on the agenda for Councillors to discuss. Contact the Town Clerk at least one week before a meeting to do this. You can then either add to the discussion by speaking in the public session, or come along and hear the councillors discuss the item but you wont be able to speak during the item. If you have any concerns or questions, please give us a call. Please see below for guidance on which council deals with which activities - this will help you to direct your concerns and ideas to the right council. Hilary Goodreid is the Town Clerk for Rugeley Town Council. Hilary has worked in Town Planning, Economic Regeneration and Tourism at various councils including Staffordshire Moorlands District Council, North Warwickshire Borough Council, GOWM and Birmingham City Council. Hilary has also worked as a parish clerk in Hockley Heath, Chadwick End and Longdon. 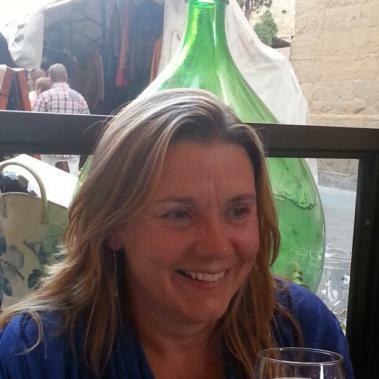 Hilary is a Principal Member of the Society of Local Council Clerks and is CiLCA qualified. We are currently advertising for this position. Applications close at midday on Thursday 25th April 2019. Please see our community notice board for details of the post. 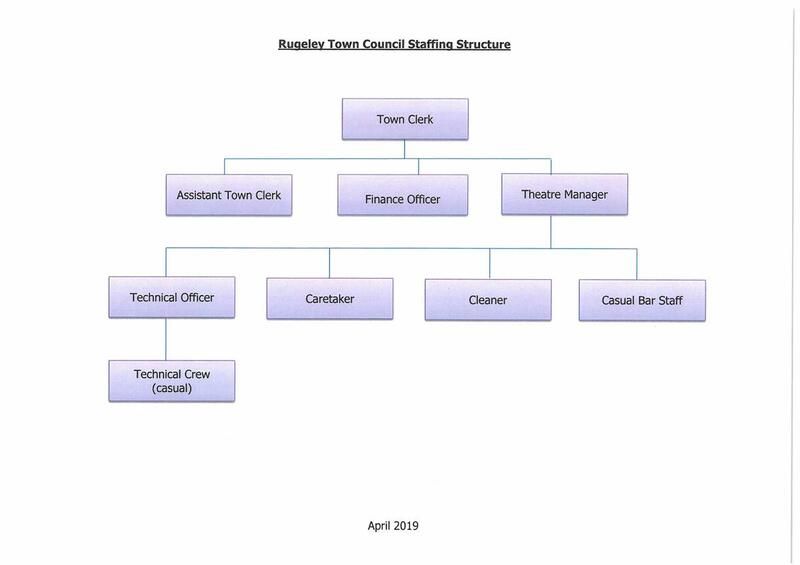 Please see the picture below for a look at our staffing structure.